Small to medium-sized orthodontic dental labs & clinics. 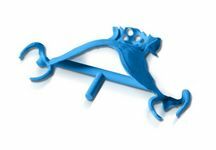 The Objet30 OrthoDesk is specifically designed for small to medium-sized orthodontic dental labs & clinics. It is compact, affordable, and easy to use. With patented, industry-leading PolyJet 3D Printing technology, it offers all of the advantages of a 3D printer, in a package that is just right for you. 3D printing takes the efficiencies of digital design to the production stage. 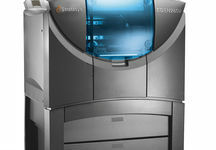 By combining oral scanning, CAD/CAM design & 3D printing, dental labs can accurately and rapidly produce crowns, bridges, stone models & a range of orthodontic appliances. With a 3D printer doing the hard work eliminate the bottleneck of manual modelling & let your business grow. For those eager for the day when everything from scheduling to finished restoration can be achieved digitally and automatically, the future is here. The Objet30 OrthoDesk is the first 3D printer of its kind, combining accurate, precise 3D printing technology with a small footprint. It is easy to use, and includes specialized dental printing materials in convenient sealed cartridges. 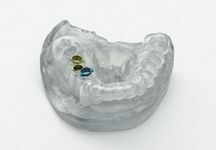 Now, you can fabricate stone models, orthodontic appliances, delivery and positioning trays, models for clear aligners, retainers and surgical guides - right on your desktop. specially designed to meet the needs of smaller labs and clinics. It combines speed and accuracy, ease of use, compact size and specialized dental materials - at a price that ensures rapid return on investment. With a fully digital process, there is no need to store bulky, physical models. Store all of your cases digitally, for as long as your client needs. For Skin and Mucosal-Membrane Contact.